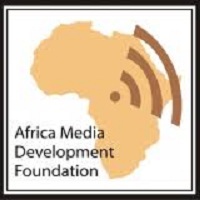 Africa Media Watch, the press freedom Desk of Africa Media Development Foundation has been renamed. 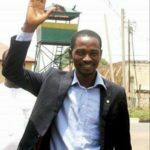 It shall now be called ‘Press Freedom Africa’ and shall run its publications under a new websitewww.pressfreedomafrica.org. 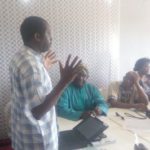 A statement by the Executive Director, Africa Media Development Foundation, (AMDF) Iliya Kure, explains that the change is to give the desk a name that describes the objective and purpose of its creation. “Since its establishment in the first quarter of this year, the desk has been vocal in highlighting issues of press freedom violations across Africa and calling on authorities to respect the rights of journalists by allowing them to operate freely. 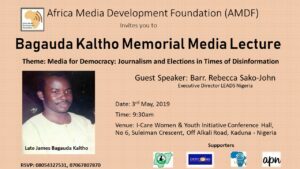 “Africa Media Development Foundation will continue to work towards attainment of its objective of providing professional support to journalists anywhere in Africa,” the statement Assures. Ahmadu Bello Way, Kaduna – Nigeria. 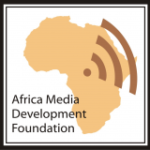 Africa Media Development Foundation (AMDF) is a non-governmental, non-political and non-profit media development organisation that supports Journalists, Media Organisations and Development Communication initiatives.